The home gym can be a blessing for a busy mom. There are no closing hours, no waiting to use the equipment and no need for a sitter to watch your kids. Unfortunately, it can often be confusing to know what items you really need in your home gym. 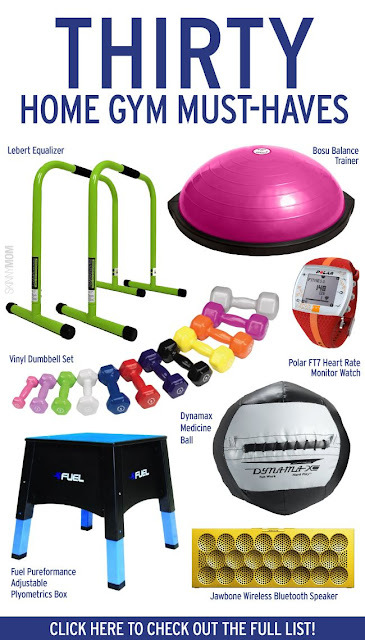 That’s why we’ve rounded up a list of 30 amazing must-haves to add to your home gym today!